London, while having the highest travel times and CO2 levels for workers to contend with**, does not hit the top spot due to its low casualty levels. The North West has the highest casualty rate as well as above average travel times and CO2 levels, placing it at pole position in the commuter index. England is diagnosed as the UK country with the worst commuter health, whereas Wales has the most rosy outlook. The RAC Foundation has drawn up the league table by comparing travel times, CO2 levels and road casualties. The data has been sourced from regional statistics available from the Department for Transport and DEFRA and the overall regional score has been established by giving an average ranked score for each region**. 71% of UK workers travel to work by car, 11% walk, 8% use the local bus, 6% use rail, 3% cycle and 1% ride a motorbike to work. 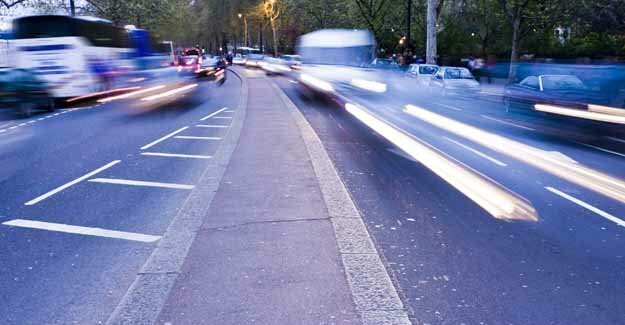 54% of all the cars available in the UK are used for commuting purposes. 25 million people commute daily to and from a fixed place of work. The average commuter will travel two and a half times around the world during the course of their working life. When business travel is taken into account workers travel an additional 1.3 times around the globe during their working life. 20% of all distance travelled is for commuting purposes. 15% of all trips in the UK are made for commuting reasons. The average daily commute is 8.7 miles a 6% increase since 1995/97. The average commuter travels for 54 minutes a day. One in ten commuters have a daily journey in excess of 2 hours. 3% of UK workers are ‘extreme commuters’, travelling at least 3 hours everyday. People working in London have average daily commutes of 86 minutes, almost double the commuting times of other regions. Men commute on average 20% longer than women. The RAC Foundation is calling on transport planners to recognise and tackle the reality and complexity of commuting in the UK. It is essential that governments face up to the many different reasons*** why commuters use their cars, rather than insisting on a one-size fits all policy aimed at getting people out of their cars and onto public transport. More support for home-working and the virtual superhighway, to cut down on the need to travel at all. The recognition of the role of the motorcycle as a commuting workhorse: this is often forgotten by our policy-makers, despite the fact that 65% of two-wheel journeys are made for work or education. Adequate and affordable parking at work locations without public transport access. “Action is needed by individuals, employers and Government to ensure that we get smarter about commuting. “The sheer number of car commuters and the lack of alternative transport means that the car will remain the main way of getting to work for the foreseeable future. We cannot ignore this and hope that everyone will take the train. We need to plan for the diverse eighteen million car journeys that are made everyday, but we also need to be smarter about how we encourage people to reduce their car use. 1. Coming of age clerk: Weekend, evening or full-time young workers in the local area, limited by car availability and public transport. Often dependent on lifts from parents, relatives or friends. 2. Beer money bar tenders: Gap year or student worker, temping locally, with or without a car. 3. Graduate ladder leaders: First full-time position for newly qualified young people. The ‘sky is the limit’ for job options and locations. This group relocate to job opportunities or live at home due to economic circumstances, commuting large or small distances. 4. Young mortgage money makers: Joint mortgage in affordable locations, may lead to increased commuting distances for one or all of household members in a bid to make a step ‘onto the ladder’. 5. Newly committed money hunters: Couples may locate centrally between employment opportunities, or induce higher travelling distances in one or both the partners if both are working. Some home working or local part-time working by one partner may feature. 6. Single parent family spender savers: Stretched budget and time poor. Likely to be highly car dependent adding to the commuter phenomenon. 7. Single person household hunter-gatherers: Maybe living close or far away from workplace depending on their preference and economic opportunities. 8. Two point four children pundits: Diverse calls on time due to complex and different activities of the household likely to generate significant travel during peak hours. 9. Minus two point four children nest eggers: Last employment years or early retirement, less likely to be contributing to the commuter phenomenon.